Bob Baker Mazda is currently offering their customers the opportunity to participate in the Exclusive $500 Mazda Trade-In Reward Program. 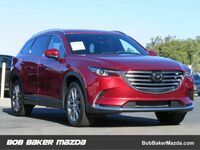 This program will provide qualified customers with a $500 reward when they trade-in their current Mazda vehicle towards the purchase of a new Mazda vehicle. Customers should act fast on this special incentive as this program will expire on April 1st, 2019. You must trade in a 2014 or newer Mazda vehicle to participate in the Mazda Trade-In Reward Program. You may combine the Mazda Trade-In Reward with public offers, customer cash back, and APR offers or incentives. You may combine the Mazda Trade-In Reward with only one other private offer. This private offer may include Mazda Loyalty, Military Appreciation Bonus Cash, or Step-Up Program. Any additional private incentives must specify that it can be combined with the Mazda Trade-In Reward Program. The Mazda Trade-In Reward may be transferred within a household (must live at the same address). Proof of eligibility and residency will be required. 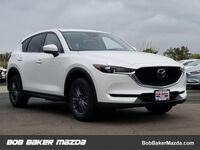 You must present the dealership with the current registration title of your vehicle, the current Mazda sales contract, and your valid driver’s license. 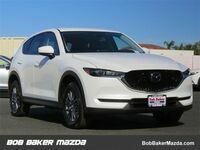 You must completely fill out the Mazda Cash Back Rebate Form with the contract or buyer's order attached. Your current vehicle must be titled or registered under your name on the title or registration. 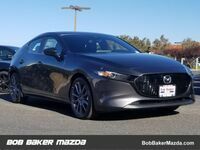 Are you interested in trading your Mazda in for a newer model year of the same vehicle? 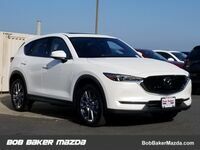 Would you like to change the class of Mazda vehicle with your trade? Are you looking for a vehicle that offers better fuel economy? Would you like a vehicle with more passenger or cargo space? Are you interested in a vehicle with the latest technology and safety features? Would you like a vehicle with leather seats and other high-end amenities? 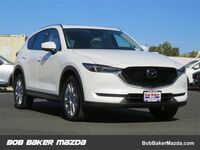 If you are interested in exploring the excellent inventory of new Mazda vehicles that we have available at Bob Baker Mazda, feel free to contact our staff in Carlsbad, CA today! We are happy to answer any questions that you may have!